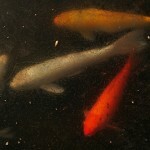 By: Mike Gannon | Posted On: January 25th, 2011 | 96 Comments on WHAT HAPPENS TO KOI AND GOLDFISH DURING WINTER MONTHS? 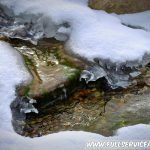 What happens to koi and goldfish during the winter months? This is a common question and concern that many pond keepers have. Warm weather is obviously the best time to enjoy koi and goldfish keeping. During this time koi and goldfish are active, lively, and highly visible. 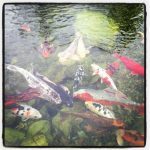 Many koi and goldfish become downright interactive with pond keepers. Koi and goldfish will follow the pond keeper around the pond. They will even stick their faces out and practically climb out of the pond to celebrate feeding time. During this time we know is exactly what is going on with our fish. A quick peek in the pond tells us everything.